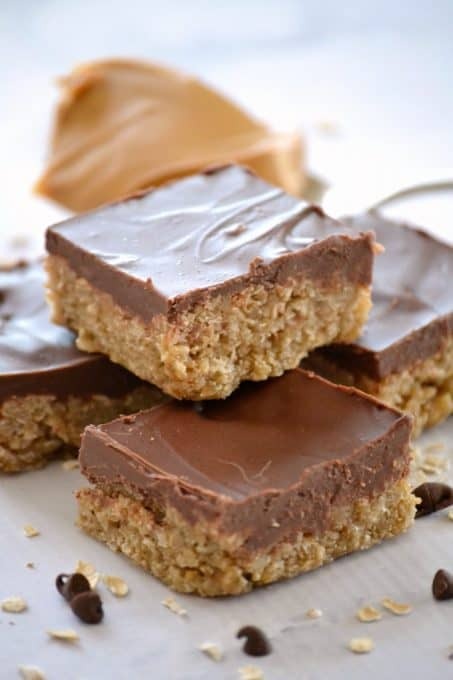 O’Henry Bars – a sweet oatmeal base covered in melted chocolate and peanut butter. 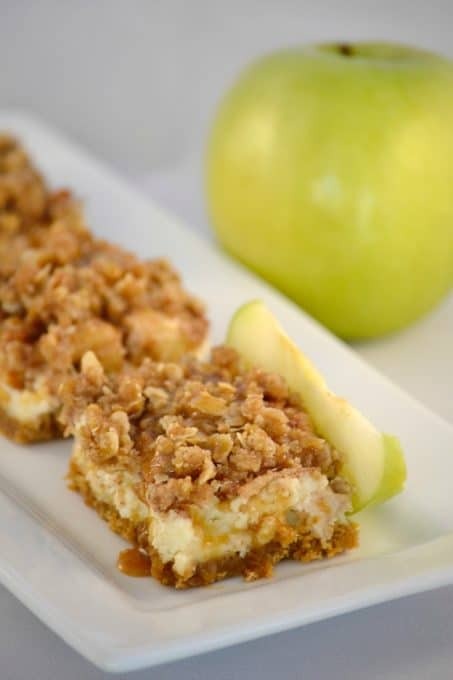 These make a great after-school snack, potluck dessert or will be a delicious addition to your holiday cookie trays! This post was originally published as Day 204 on September 8, 2011 when I was doing my original 365. It has been updated in format. I’ve been feeling the need to rescue lately. No, not puppies or kittens. Been there done that. And that ” cute little itty bitty kitten” turned into a mean ungrateful son of a monkey’s uncle. Ok,I admit that he’s not nearly as bad as he used to be, but sometimes…Rescue. As in rescuing… My three children. Not that any of them are in any immediate danger, but just from general day to day activities and mental or physical anguish. Rescue, it’s what I do. Something that I’ve always done been good at, something I pride myself on. Um, I believe it would be called enabling, actually. Do other people feel this way or is it because I’m an only child and learned how to do it early in life? There were attempts to rescue my parents’ marriage, my mother when she was sick from her chemotherapy treatments, and my daughter when she had to have 6 surgeries including 2 major hip reconstructions, just to name a few. After discussing it tonight with Mr. 365, I realized that it’s a definite control issue and my fear of my baby boy growing up. He’s started his freshman year of high school and I guess I’ve freaked out about it. Outwardly, no one would know, but Mr. 365 is onto me and sometimes I find myself becoming so anxious that I feel like I’m going to blow. My real fear: that these next four years are going to fly, he goes away to school, then WHAT? I didn’t feel this way when the girls started high school. What does a SAHM (stay at home mom) do when your shuttle service is no longer needed, there are no school lunches to make, parent meetings to go to, or sporting events to attend? I’ve placed my identity in my children and have forgotten who I really am. From Day 1, (marriage day 1, not blog day 1) my passion has been my husband and then our children. It is ALL, and the only thing I ever really wanted in life as far back as I can remember. To be a wife and mother. I know deep in my heart my job will never truly be finished even when they leave our nest and soar onto exciting new things, but their physical presence will be greatly missed. And yes, when one door closes, another door opens. My door will open and as I step over that threshold who knows what will be on the other side. A new beginning, a new passion and a new identity. My grandmother made these bars a lot when I was young and my mother would make them during the holidays. 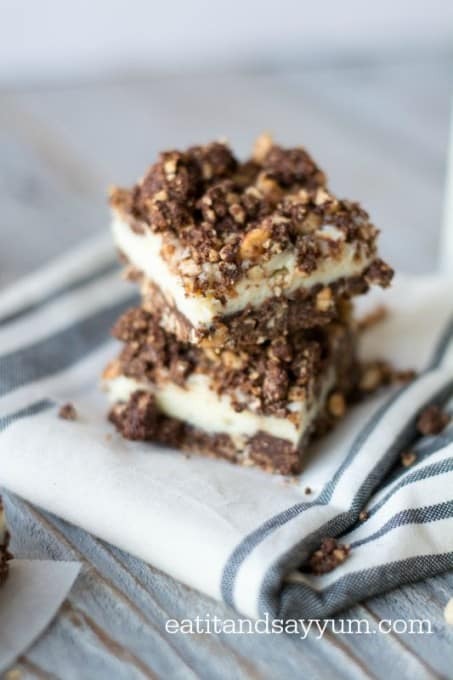 These O'Henry Bars are a sweet oatmeal base covered in melted chocolate and peanut butter. They make a great after-school snack, potluck dessert or will be a delicious addition to your holiday cookie trays! Lightly grease a 8 X 8-inch baking dish with cooking spray. 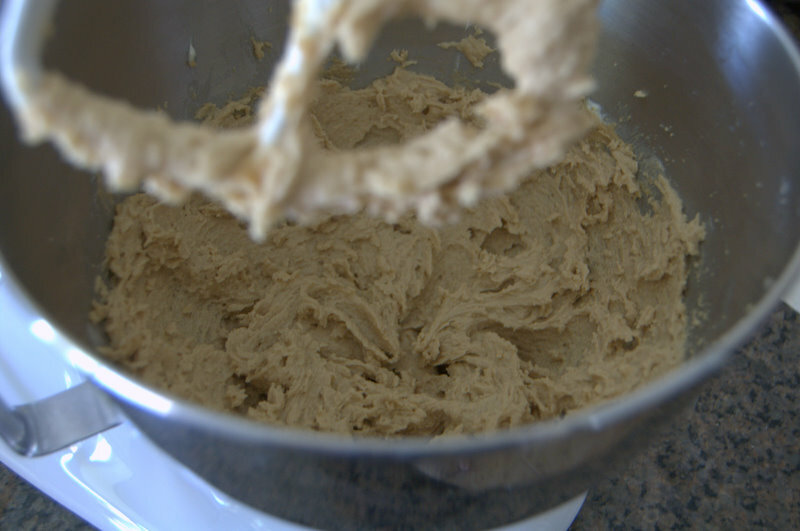 Cream butter and brown sugar in a mixing bowl. Add Karo syrup and vanilla, combining thoroughly. Add oatmeal and completely mix. Press evenly into prepared baking dish. While bars are baking, melt the peanut butter and chocolate chips in a small bowl over a small saucepan containing an inch of simmering water. Remove bars from oven and place into the refrigerator to cool for 10 minutes. When cooled, pour the melted chocolate mix over top and spread to edges. 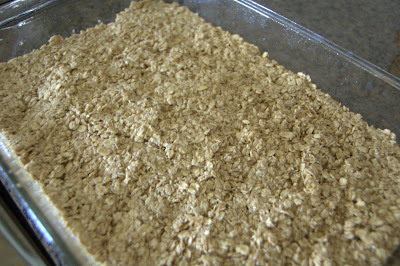 Add the oatmeal and press into the prepared baking dish. While bars are baking, melt peanut butter and chocolate chips in a small bowl either in a microwavable-safe bowl for increments of 30 seconds or over a small saucepan containing some simmering water until smooth. Remove bars from oven and place into fridge to cool for 10 minutes. 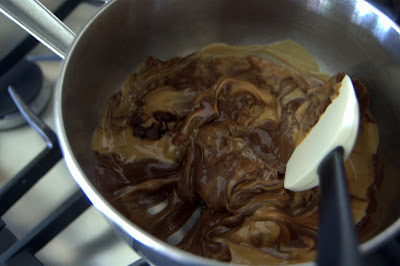 When cooled, pour the chocolate/peanut butter mix over top and spread to edges. I rate everything I bake on a scale of 1-4 with 4 being the best and these O’Henry Bars earned 3 rolling pins. They brought back a lot of good memories, but just didn’t taste the same as when Grandma made them. Everything always tasted better when Grandma made it anyway. 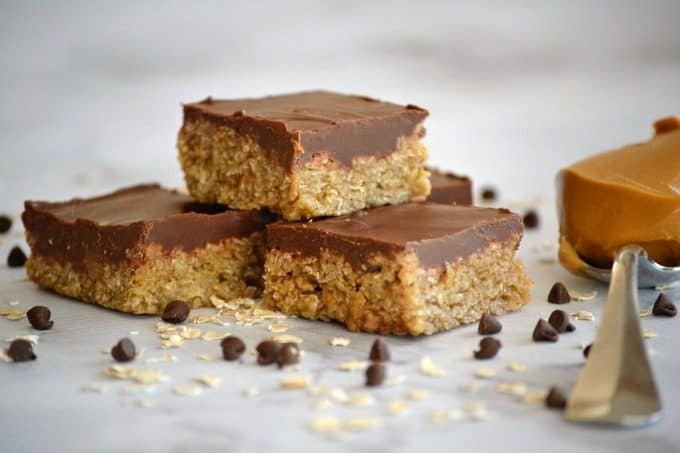 These are easy to make and the combination of oats, peanut butter and chocolate taste really good together. They’d make a great bar to bring to a potluck or cookout where there are going to be plenty of children. Thank you all for reading. I am grateful that you took the time to read. Lately, I have been feeling the same way about worrying about my future empty nest. I also am a rescuer at heart. I want so much to protect them from the disappointments, unfairness and mean people. It’s hard to realize that I can’t and probably shouldn’t do that. I also empathize with not knowing who I am aside from “World’s Most Devoted Mom”. 😉 I am sure you have the title as well. For the record,I don’t think it is held by one individual. Enabling is just way too easy to be sucked into sometimes. The next turn around a corner will bring wonderful things along with the bittersweet. I enoyed the story along with these bars. I love my grandmother’s recipes. Thank you again for the giveaway. I sent my information in an email. You are so right, being a mom is a never ending blessing. We got to cherish the moments, and take things one day at a time. Adding some coconut & flour (1 cup each). & reducing the oats to 2 cups – adding 1/2 teaspoon baking soda will also produce wonderful results. I also add some choc chips & nuts to the mixture or sprinkle roasted nuts over the melted choc/peanut butter mixture. Ah, great ideas, Angie. I’ll have to try those next time. Thank you for the comment! 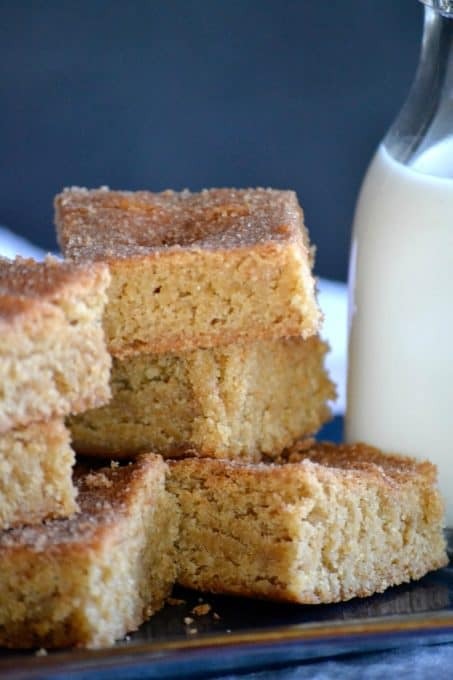 I’m making these tonight using MY grandmother’s recipe, and so I was looking for an online version of the same one so that I could easily share it to Facebook. 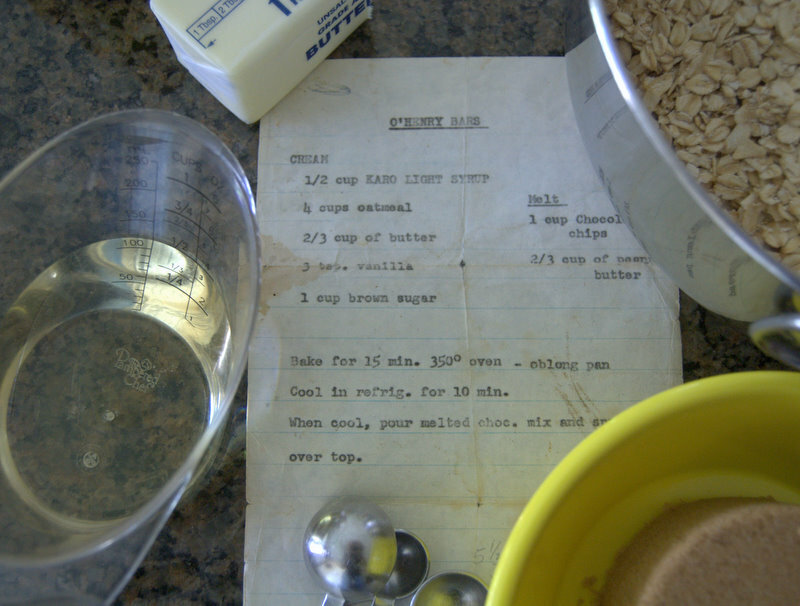 A lot of the other ones I’ve found use white sugar or more butter or something….but not only is yours the EXACT same recipe as my grandmother, but the typewriter recipe paper you showed also looks eerily similar as well. Don’t alter the recipe….the original is just fine as is! The only “update I do is melting the PB and choc chips in the microwave with 30 second bursts (stirring every time). can you sub maple syrup for the corn syrup here? or will that alter the taste/texture? Adam, I think the maple syrup may be too thin as the corn syrup is thicker and adds the right amount of sweetness, but you could definitely give it a go. If you do, let me know how it goes! Beautiful post. I wish you luck with your next chapter. Thank you so much, Mary. I appreciate that! I loved your post. It’s nice to know I have company. I think we are a dying breed. I am now a Grandma and loving it! ?